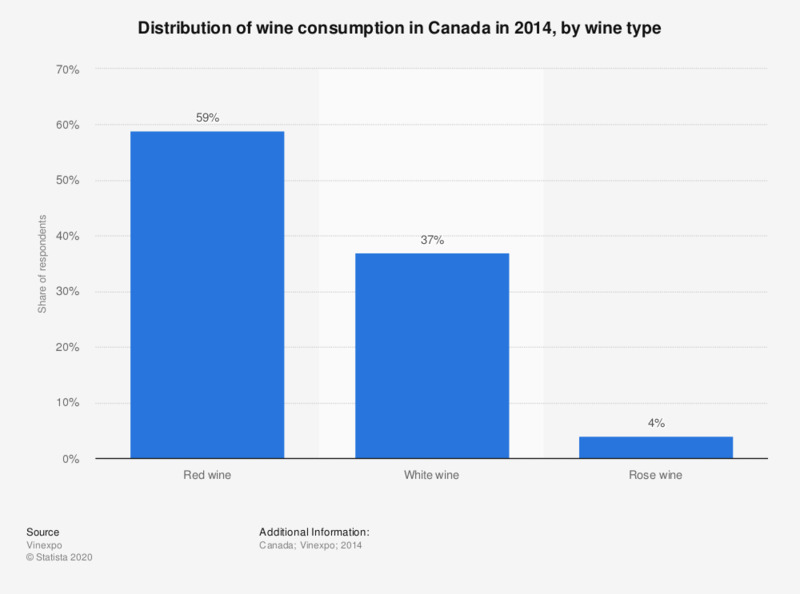 This statistic shows the distribution of wine consumption in Canada in 2014, by wine type. Red wine accounted for 59 percent of total wine consumption in Canada in 2014. White wine was the second most popular at 37 percent.